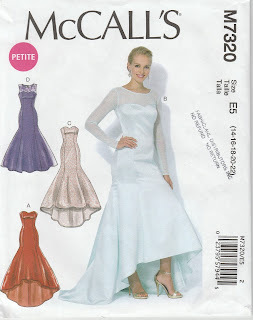 Months ago I had promised to sew my goddaughter’s prom dress. We went fabric/pattern shopping. I tried to steer her in the direction of something that would be fairly simple to sew, but the young lady had definite ideas of what she wanted, and … what she wanted was what she got. (Well … with a few minor design changes.) When we started this journey, Julie was none too certain that things would turn out the way she wanted, but judging by the reaction last night, when she tried the dress on for the last time, I do believe Julie is happy. Meet Julie – my gorgeous goddaughter. 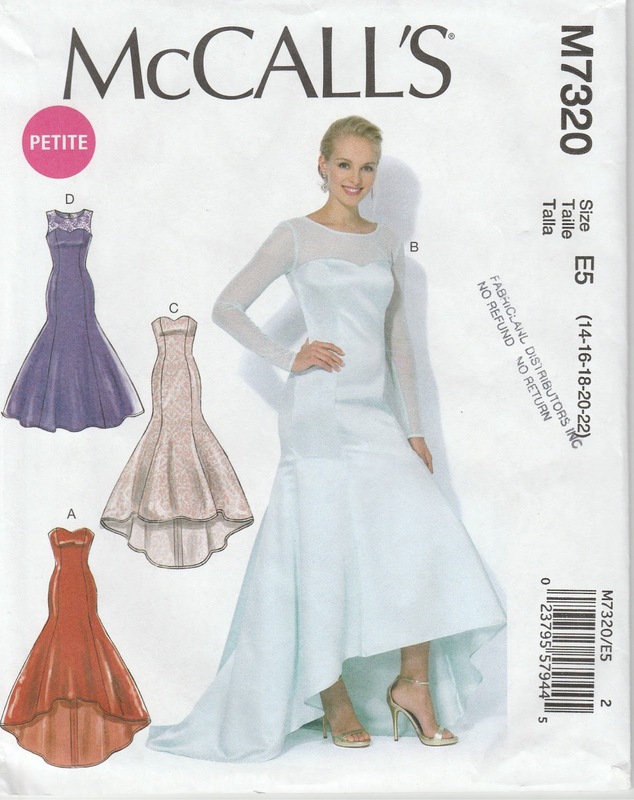 The fabric is a teal polyester satin – not quite as heavy as it should have been, but sometimes you just have to work with what you can find. And the pictures just don’t do justice to the actual colour. I straightened the neckline and raised it by 3½ inches for modesty’s sake. (And yes, I most certainly started with a muslin!) Julie opted for having the hem all one length. Originally, Julie wanted “bling” around the top, but I managed to convince her that trim with large beads would be rather uncomfortable and scratchy as she moved her arms. She just had to believe in my abilities to amp up the design. I went with an outer facing in black velvet and a bow at the back. I think it worked out rather well. Without the black velvet, the dress was rather blah. Adding the velvet added just enough interest. We attached the belt to the zipper with safety pins, just while getting the dress on, otherwise the belt kept disappearing into the lining. Just for the record… there is a “corset layer” with boning and an elastic belt that holds the whole top securely in place, a strip of buckram around the top to keep the whole top edge stiff and secure around the body. The inside facing is a bias strip of black batiste. All of this was stitched by hand – except the channels for the boning. The zipper was sewn by hand. There are 3 loops for attaching hanging ribbons. There’s a loop and snap for keeping the bra back where it should be. The lining came from my stash - a pinky apricot colour. Actually, two pieces of lining. The upper part is a softer polyester (? ), and then there’s a gathered skirt, which I made from a stiffer acetate lining.The pattern calls for netting, which would have been scratchy and far too poufy (and it would have caused the skirt to stick to it, which then would have necessitated yet another layer of something or other to protect the outer layer of fabric. The stiff acetate gives just enough pouf to hold the skirt out. And just two more pictures from the pre-prom party. I can hardly believe that my last post was in December. I was actually going to start this post with “to blog or not to blog”, but Bunny beat me to it, and she even found a funny picture to go along. But I did decide to continue blogging. I have excuses galore as to why I simply couldn’t buckle down and post. There was all that STUFF that needed to be dealt with. There was the case of the missing camera, which has now been replaced. My furry sewing companion went off to doggy heaven. There is no end to excuses, but I’m back. Every time I take a sewing book into my hands, I want to make every project in it. In reality, very few projects from books actually happen. Lots of inspiration – which I generally don’t need, as that leads to dreaming of more and more projects that whirl around in my head. If I dreamed a bit less and sewed a bit more, perhaps there would be many more finished items. Another bag. 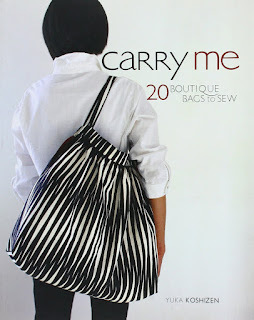 This one from Carry me by Yuka Koshizen. This book came home from the library several times. All the bags are gorgeous. The instructions precise. I would love to make every bag in the book, but I have to make choices – clothes or bags, and clothes generally win. This particular bag is, I believe, called the Granny bag. This is the second time I’ve made it. The first time was a few years back – for my sister-in-law. This time around – same fabric – for my niece. My sister-in-law very kindly has sent me boxes of fabric when she was clearing closet space. I had to send a thank-you, so that was the first bag. My niece saw the bag and had to have one. Quite some time went by, while I was deliberating on what fabric to use, until I was told that the same coarse linen plaid would be just fine. I find it ironic that fabric traveled from San Francisco (I think it had a Britex label on it??) to London, Ontario, and now it has made its way back to San Francisco as usable items. The lining in this bag is a black silk noil – a piece that finally found a home. (I do like it when leftovers finally get used up!) Oh, and there is a pocket and a magnetic closure. If you’re in Canada – I hope you have a wonderful long week-end!